A school in New Jersey is working to make virtual school days out of snow days, or days of school canceled due to inclement weather. Thanks to internet connectivity, students can watch videos, participate in discussions, and get assignments all from the comfort of their home. So gone could be the days of sleeping in, making snowmen, and school in June. What do you guys think? Is this the little brother of flipped classrooms and MOOCs? Or are unpredicted days off in winter something that should be left alone? Are all your undershirts from techie events? Do you only recognize people by their Twitter handle or their blog title? Can you tell the difference between Edudemic, Edutopia, and EdSurge just by the content? If you’ve answered yes to any of these questions, you, dear ed-techie, may be in love with ed-tech. You’re probably cringing at the fact that I didn’t hashtag #edtech. You’re the type that knows blended learning is not a recipe, but a way of life. 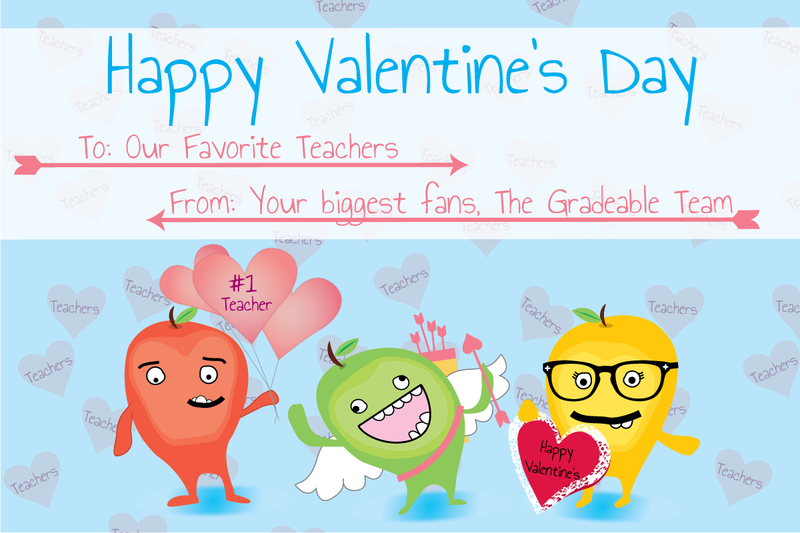 Well from one ed-tech lover to another, Gradeable wishes you a Happy Valentine’s Day. For the second week in a row we have amazing administrators spreading the word about the snow day. Not gonna lie, these educators have some legitimate flow.